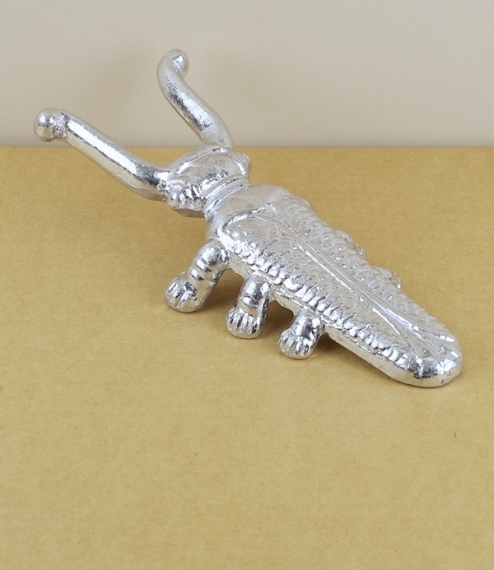 Ekoxe is Swedish for stag beetle, but seems ideally suited to this exotic and dare we say it, slightly creepy, bootjack designed by Oskar Karlsson in the early twentieth century. A keen entomologist Karlsson collected a specimen stag beetle during national service in Karlskrona. Taking it home to his foundry he used this as inspiration for the tooling of a bootjack. Now produced to the original pattern of wholly recycled aluminium in Anderstorp by Essem Design.